Kupper Bike Rack Mounts are one of the most affordable, portable, secure, convenient & quick-to-install bike racking systems in the world. They will fit any car, truck or SUV, regardless of country. Raleigh, North Carolina – Kupper Mounts (https://kuppermounts.com), a next generation bicycle carrier manufacturer, announced today the company has appointed a new Vice President of Sales, Jason Morris, to grow the company’s bicycle accessories sales by signing up bicycle shops and bike resellers in the United States and international distributors and/or exporters/importers that will sell Kupper Mounts into over 30 global marketplaces. Kupper Mounts are a next generation bike rack that have very powerful suction cups that make it easy to install a bike carrier on any car, truck, van or SUV in less than two minutes. Kupper Mounts do not require a luggage rack or a trailer hitch for installation, a feature that is very popular with today’s mobile millennial cyclists. Kupper Bike Rack Mounts are one of the most affordable, portable, secure, convenient & quick-to-install bike racking systems in the world. Kupper Mounts also store easily in checked-bags for airline travel and solve the common problem of trying to find a bike rack that can be mounted on any rental car or SUV while on biking vacations and adventures. Kupper’s mounts work well with all types of road bikes, mountain bikes, triathlon bikes, cyclo-cross and commuter bikes. “I am very excited to accept my new role in setting up an independent dealer network in the United States for Kupper Mounts and look forward to expanding Kupper’s reach into international markets in Asia, Australia, Europe, and South America,” said Jason Morris, Kupper Mounts’ Vice President of Sales. Morris continued, “In addition to being an excellent bike carrier, the great thing about Kupper Mounts bike racks is that they can be used as a great marketing tool; an effective Point of Purchase (POP) sales product that will bring more customers inside a bike shop; and, increase sales ticket totals by being able to show a new, high-end, easy to use, high-margin bike accessory that can increase accessory sales by $200 or more for every bike sold. The Kupper Mount’s Bike Rack system can also be used to hang bikes in various locations inside and outside the bike shop increasing display space. Kupper Mounts is now signing up new independent sales representatives with experience selling into bike shops and independent bike dealer networks. The company is also seeking to sign up social media marketers, influencers and brand advocates that have a special knack for promoting and selling products through social media networks. Interested parties should call Jason Morris at (813) 616-0702 or send him an email at jason.morris@kuppermounts.com. In a letter to the SEC dated July 19th, the Regulation Crowdfunding (Reg CF) industry’s largest equity crowdfunding platforms and industry influencers provided data and analysis to support increasing the Regulation Crowdfunding cap to $20 million. The following bullet points below and the following analysis is provided to support the increase in Reg. CF. 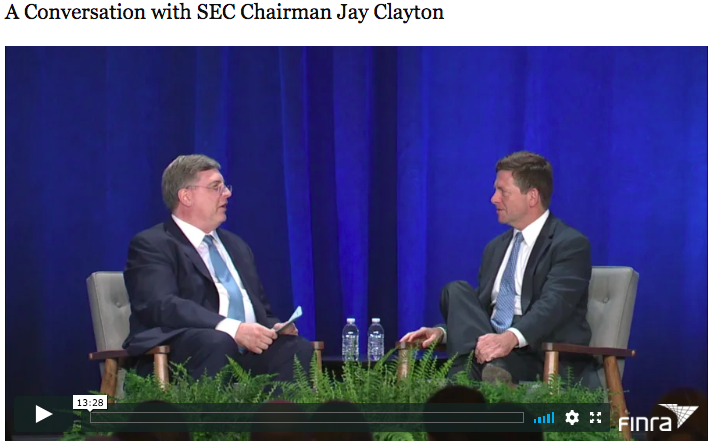 Over 1,000 companies have filed with the SEC to raise money on online platforms that are registered with FINRA to facilitate capital formation. Over $137M has been committed to these issuers. 95% ($130.4M) of that capital was funded and invested into 715 companies (68.5% success rate). These 715 companies are supporting 4,172 jobs and producing over $249 million n revenue. Issuers have filed in almost every state in the Union. Issuers have been funded in 80 industries, according to Morningstar’s Global Equity Classification Structure. There has been zero fraud, competent issuers have been able to raise serious capital from investors that believe in their products or services, and retail investors (for the first time in recent history) have a transparent, systematic way to back companies they believe in. Successfully funded companies are supporting and creating valuable jobs and providing substantial economic activity in a broad range of locally important industries all around the United States. The initial cap of $1 million was meant to be adjusted. Only once since the launch of Regulation Crowdfunding has this been adjusted and at the time only by $70,000. Such de minimus adjustments do not fully allow meritorious issuers to fully benefit from this new form of online finance nor expand the opportunity for issuers seeking to raise in excess of $1 million. The current $1 million level is now far below what startups and SMEs need for seed stage capital. May 2018 data indicates that the median sized funding round for Angel or Seed stage companies in the US is $2 million. This means that even for the smallest funding round the current limits do not allow an issuer to raise their entire round via Regulation Crowdfunding. This dramatically increases costs and time spent on raising capital by US businesses. This reduces the number of American innovators and job creators in the United States. While the “funding gap” that Regulation Crowdfunding was meant to address is filling the void. The funding “opportunity” really comes from those small/medium firms that are seeking to raise up to $20 million. Raising funds under $20 million has become increasingly challenging as Venture Capital/Private Equity has moved upstream over the past decade. Raising the cap will allow issuers that wish to utilize this form of online finance the ability to raise in excess of $1 million and tap their local investors without having to deal with the costly, time consuming process of either filing a full prospectus with the SEC or spending hundreds of thousands of dollars on a private offering. Many companies forego Regulation Crowdfunding in favor of Reg D, 506(c), because of the low Reg CF limit. This has the effect of reduced disclosure to investors, since Form D provides less information even than Form C. In addition, ordinary investors are cut out of some of the most attractive deals that have already attracted institutional funding, which seems unfair and counter to one of the goals of Reg CF. Both the United Kingdom and Germany have adjusted their caps to 8 million EUR (US$9.4 million). The United States should not be a follower, but instead a leader. People are being asked to call their Senators and Representatives to ask them to support increasing the cap and helping small businesses access capital, create jobs and foster local innovation. London, England – Plum, an artificial intelligence (AI) chatbot for personal finance, has raised £892,465 its initial £700k equity crowdfunding goal a month after launching its fundraising campaign on Seedrs in July. Plum is an Artificial Intelligence (AI) powered Facebook chatbot that helps consumers manage their personal finances. The disruptive startup says Fintech’s increasing penetration hasn’t yet reached the mass market, but Plum is set to change that. The crowdfunding campaign Seedrs plans to fund aggressive growth and expansion plans in the near future. Plum has undertaken the ambitious task of helping millennials save money in a way they barely notice. The innovative chatbot connects securely to users bank accounts via Facebook messenger and AI technology learns their spending habits and automatically saves small amounts of money every few days. The savings are put into an account with an FCA-regulated e-money provider, Mango Pay, and individuals manage their money via Facebook’s Messenger platform. The crowdfunding campaign on Seedrs follows just eight months after the disruptive AI business raised its $500,000 seed round led by Silicon Valley accelerator program 500 Startups. The company launched in January 2017 with a waitlist of 5,000 users since which user numbers have been growing at a rate of 25% month on month. In the seven months since launch, Plum has seen its monthly savings grow by 50% each month. The personal savings chatbot is now on track to exceed £20 million in savings for millennials by the end of year one. This is facilitated through partnerships with energy provider Octopus which gives Plum users the chance to switch to a green energy provider and lower their utility bills by around £250 a year, and Habito which helps Plum customers to find their first mortgage or remortgage opening up the possibility for savings in the thousands a year. Users are also able to earn a return of 3% via Plum’s partnership with P2P lender RateSetter. While it is Plum’s AI algorithm that powers users automatic savings, the user can also determine how much they save by adjusting Plum’s saving mood from normal to ambitious, a feature that 30% of Plum users have activated, indicating the ambition of consumers to save more. What technologies will represent the best equity investment opportunities for investors and venture capitalists in 2018? Driven by exponentially faster computing power and cloud computing, “teaching machines” is becoming easier and more scalable, enabling AI to go mainstream across a wide range of industries: including consumer marketing and retail, entertainment, digital health, and newer areas like autonomous driving and advanced robotics. More and more startups are building applications which will solve real world problems by applying AI in areas that can truly have an impact on the quality of our lives. Did you know that in operating rooms across the US, brain surgeons are already using Virtual Reality (VR) to rehearse and simulate surgery in order to be more effective? VR and Augmented Reality (AR) is not just about show business, entertainment, and 3D gaming, but also about saving lives, industrial solutions, and infrastructure. VR and AR are about to go mainstream and will be used across a wide range of sectors from sports analytics to building airplane wings. These are definitely interesting technologies to keep an eye on! Have you ever tried using Siri in a car going over 50 Mph? Or talking to Alexa with the kids making noise in the background? Good Luck! As we all know it does not work. However, the era of voice driven computing is coming. In the last 10 years, the world has moved from primarily using keyboards to swiping and using touch-screens. In the next five years users will move to talking to our devices as the primary mode of man to machine communication. Core voice recognition software has become almost perfect at understanding the human voice and getting our words correct. The missing ingredient is its ability to enable our machines to get a clear signal and cancel background noise so that Siri really can HEAR what we are saying. The world’s oldest industry of growing crops has not been known for its technological flexibility. However, these days Agriculture-related technologies are blooming for different reasons. Traditionally farming is a family owned business and we now see how second generation of farmers are much more techie and open to adopt advanced farming technologies. In addition, the last two years have seen mass consolidation between leading players in AgTech creating deep pockets and a big appetite for acquisitions. Over the past couple of years, more and more buzz is hitting the airwaves about Amazon and others using drones to deliver packages to your doorstep or bring you fast food on demand. While this sounds pretty cool, more interesting and profitable uses of drone technologies probably lie within industrial and agricultural markets. Drones are already playing critical roles in facility security, mining, oil and gas exploration, crop protection and surveying landmass. Building industrial scale drones with light-weight, long-lasting batteries, which are robust and reliable seems to be a temporary roadblock, but companies that can advance these technologies are worth watching closely. As much as we try not to overuse this term, artificial intelligence is actually a powerful factor in the rapidly growing digital health sector. Enable regular people as well as healthcare personnel crunch historic data sets from electronic medical records from way back when — to the latest data that is now being collected from wearables in order to increase our quality of life and perhaps even prevent deaths. The same will be true for computer vision and machine learning technologies that enable the bio-tech and life sciences industries to begin extracting new insights and diagnostics from images. Timing is everything! In the buzzword competition of 2017, blockchain was the hands-down winner. Since then, there have been missteps and pivots for this important financial technology. Many Venture Capitalists (VCs) have been disappointed with their investments in this sector; however, now is the time to begin taking a fresh look as this technology matures and evolves beyond Bitcoin across multiple applications such as: sharing economy, data security, logistics, and of course, banking and finance. The Space Tech sector is usually dominated by governments and states , but is rapidly opening up to private ventures and prestigious VC funds are seeking to begin building space portfolios that will enable these ventures to take off. In terms of funding needs, what used to be super-expensive is becoming much more affordable, with standardization of hardware protocols as well as general cost reductions of consumer electronics. Satellites can now be built and launched for less than half a million dollars, creating exciting opportunities to commercialize the technology. Are you worried about your car getting hacked? How about cyber criminals sneaking in through your air conditioner or refrigerator? Cybersecurity is not new; and in fact, the investing landscape is quite crowded, and the playing field is highly competitive. The key shift in Cyber Security for investing in the next few years will be a move from protecting IT infrastructure to protecting all infrastructure. Companies are now designing full-proof solutions to protect everything such as automobiles, electric grids and everything in between. Everyone knows that autonomous driving is coming. The question is when? Thanks to the development of core technology and expertise of leading Autonomous Driving companies such as Waze and Mobileye, the world is sure to become a global hub of automotive innovation. Bengaluru, India – OurCrowd, one of the landing equity crowdfunding in Israel, announced that it has signed a strategic collaboration agreement with LetsVenture, one of India’s largest angel investment syndicates for seed stage and venture capital for startups and growing businesses. As part of this partnership, OurCrowd will offer curated deals to Indian investor syndicates managed by LetsVenture, as well as showcase Indian startups on OurCrowd’s platform, giving selected Indian startups access to accredited investors globally and to business development opportunities. OurCrowd and LetsVenture will be also be collaborating on an ‘India Fund’ to invest in Israeli, Indian and global startups. The investment into this fund would primarily be from family funds and high net-worth individuals (HNWIs) in India and OurCrowd’s global network of accredited investors. Leveraging LetsVenture’s domestic network, OurCrowd will offer Indian corporates access to the Israeli innovation ecosystem. “Having made startup funding easy, our vision is to make angel investing easy with a focus on portfolio management (startup reporting, portfolio diversification and exits). The partnership with OurCrowd aligns with our vision of offering our investors access to some of the best startups across geographies including Israel, along with giving LetsVenture portfolio companies access to global investors for their next round of funding. In this partnership with one of the largest equity crowdfunding platforms globally, we do believe this is a win-win for both of us,” said Shanti Mohan, Co-Founder & CEO, LetsVenture. In addition to this, LetsVenture will facilitate ‘Take to Market’ activities for OurCrowd’s portfolio companies to access the Indian market, the activities of which are under development by LetsVenture and are targeted to commence in 2018. Google search “Robert Hoskins Crowdfunding PR” to see why Mr. Hoskins runs one of the industry’s foremost crowdfunding PR, social media and marketing agencies that has amassed a huge social media following and is dedicated to supporting a wide variety of donation, rewards and equity crowdfunding campaigns. San Diego, California – Sony Electronics in conjunction with Sony Global Education announced that the KOOV Indiegogo crowdfunding campaign to fund a new coding and robotics kit for the next generation of young innovators has raised more than half of it crowdfunding goal. The Sony Global Education team developed KOOV as a fresh approach to learning robotics and programming. KOOV is already available in Japan and China, and Sony is now looking to expand the program to the US in order to gain feedback and insight into the American market. KOOV is a robotics and coding educational kit made up of blocks, sensors, motors, actuators, and a companion app that teaches children core concepts about design, coding and robotics. The app also features a secure social space, where children can share their designs and code with other young inventors from around the world. The blocks can be assembled into any shape, with the final figure capable of being controlled as a robot. The kit encourages learners to “Play” by building with 7 kinds of translucent blocks, “Code” by controlling the assembled figure through the KOOV app, and “Create” by embracing their creativity and imagination. Sony Global Education believes that the teaching materials for robotics and programming will play a major role in cultivating STEM literacy and nurturing the next generation of problem solvers. KOOV was built on the belief that STEM learning tools should be accessible to all children. Through the use of inclusive colors, shareable design and the goal of building a foundation for future STEM learning, Sony hopes to attract parents of children 8 to 14 years old, with equal emphasis on boys and girls. Pre-orders are available for a limited time beginning June 20th via Indiegogo, with product scheduled to ship to backers in early December. The suggested retail price is $359 for the Starter Kit and $499 for the Advanced Kit with limited quantities available at discounts of up to 40% for early backers. Interested consumers can learn more about KOOV, and place preorders at https://igg.me/at/KOOV. New York City, New York – Bluesmart has successfully launched an Indiegogo crowdfunding campaign to fund the 2nd generation of one of the world’s first smart suitcases. The new Bluesmart travel product line includes: a carry-on luggage, a checked bag, a laptop bag, and a passport pouch. Powered by its second-generation technology, all products connect to Bluesmart’s new app, to work as a system assisting travelers along their journey. The line brings upgraded materials, expanded capacity, colors and a new sleek, iconic look. With the Series 2 Luggage System travelers will know the location of all their belongings at all times and never again have to deal with lost luggage, forgotten passports and bags left behind. It helps travelers avoid baggage fees for overweight luggage, breeze through airport security and keeps bags protected against theft. Additionally, Series 2 travelers can keep all devices, including laptops, powered up along the way. A detailed listing of all Series 2 products’ features and specifications can be found on the Bluesmart website: http://bluesmart.com/indiegogo. Bluesmart’s second-generation technology upgrades the location tracking system making it compatible with every country’s cellular networks and improving accuracy to unprecedented levels. The new battery system allows for faster charging and longer duration of charge. The new weight sensors system increases accuracy and usability. The Series 2 line is compliant with all major aviation and transportation regulators (FAA, DOT & TSA). Bluesmart Luggage Cabin – The Series 2 Cabin has been thoughtfully redesigned increasing packing capacity by 25%, improving the fabrics and materials and refining its silhouette. The product features GPS+3G location tracking, remote auto-locking and supercharging capabilities. Bluesmart Luggage Check – The Series 2 Check is a 29 inches robust suitcase that expands the Cabin’s technology and design for longer trips. In addition to the GPS+3G location tracking and remote auto-locking, it features a new smart weight sensing system that alerts for potential overweight baggage fees via the app. Bluesmart Luggage Laptop Bag – The Series 2 Laptop Bag is an elegant business briefcase that attaches seamlessly to the Series 2 suitcases. This bag features Bluetooth location tracking, distance alerts and a removable supercharger that powers up smartphones and laptops. Bluesmart Luggage Passport Pouch – The Series 2 Passport Pouch helps travelers never again leave their passports and travel documents behind. It protects travelers’ essentials with Bluetooth tracking capabilities, RFID blocker and water-resistant materials. Bluesmart Luggage Mobile App – The new app provides a more intuitive travel experience, identifying and anticipating travelers needs through all stages of the journey – from flight schedules, gates, destination, currency exchange, weather and more. With the app travelers are able to manage all Bluesmart products in one central hub. Bluesmart Series 2 is available for pre-order through Indiegogo. The pre-order campaign will last 30 days and the products will ship approximately 90 days after the pre-order campaign ends. Since then the company went on to scale production and ship to over 110 countries, entering 200 stores in prestigious retailers such as MoMA Stores and Neiman Marcus. The company has raised $18M in venture capital from prestigious investors in Silicon Valley and Asia. The products have received several awards including the “RedDot Design Award” and have been endorsed by celebrities such as Usain Bolt and Tony Hawk. Scottsdale, Arizona – Brain State Technologies, a leading neuro-technology company, introduced the world’s first brain mirroring wellness product via Kickstarter crowdfunding campaign to fund production of the new B2v2 wearable brainwave balancing headband. Over 190 backers have already pre-ordered the $195 B2v2, exceeding the original Kickstarter goal by almost 300%. Utilizing Brain State’s proprietary software, the B2v2 converts an individual’s unique brainwaves from both frontal poles and temporal lobes into corresponding music-like tones, recognizing out-of-balance brainwaves measured in real time. The wearable headband relaxes the brain by rebalancing brainwaves for stress relief and improved sleep, resulting in increased energy, more focused performance and significant enhancement of a client’s overall emotional well-being. The new B2v2 technology is designed to help over 60 million Americans suffering from sleep deprivation and high stress levels. More than 122,000 users have been helped through Brainwave Optimization® since its introduction in 2004. Thousands of current loyal users of the B-2 headband will receive a $200 discount for their B-2 headband only upgrade during the Kickstarter campaign. London, United Kingdom – Capital Cell, Europe’s first equity crowdfunding platform specialized in life science, has been shortlisted for the prestigious ‘Best International Growth Business‘ award at the UK Business Angels Association Investment Awards 2017. Capital Cell is Europe’s first equity crowdfunding platform specialized in life science. Capital Cell opens life science investment to everyone by sourcing the most innovative early-stage life science companies, and presenting them on a regulated online investment platform. In recognition of their contribution to the European life science ecosystem, the company has now been shortlisted for the Best International Growth Business award at the UK Business Angels Association Investment Awards 2017. Capital Cell has been trading in Spain for just over two years, and has successfully closed 14 life science crowdfunding campaigns, including the country’s largest life science crowdfunding campaign of over €1.2M, for a potential therapeutic cure for MS.
Scaling-up from this Spanish platform, Capital Cell UK has just launched at www.capitalcell.co.uk, with a range of companies solving unmet needs from malaria control to female fertility enhancement and autoimmune disease. The UKBAA black-tie awards dinner will take place on July 6th, at the Dorchester Hotel, London, with 300 leading innovators and investors assembled to celebrate the best of UK business.